This will provide you with a proof of receipt. Fast Charging Dual USB. 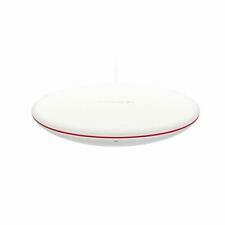 Genuine Huawei accessory. Experience faster charging speeds than ever before with Huawei's Super Charging. No more hanging about, just super quick charging. Compatible Models : Huawei P10 P10 Plus Mate9 Mate9 Pro. 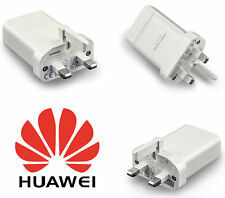 5 out of 5 stars - Original Huawei Super Fast Charger UK Adapter 5A SuperCharge for P10 Mate 9 NEW! 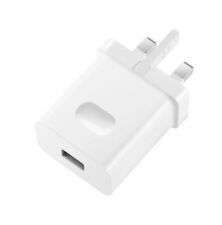 10 product ratings10 product ratings - Original Huawei Super Fast Charger UK Adapter 5A SuperCharge for P10 Mate 9 NEW! GENUINE HUAWEI UK PLUG. Output current: 2A. A cable is. FAST CHARGING. FAST DISPATCH FROM LONDON. Includes a 1m Huawei USB Type-C cable. ORIGINAL/GENUINE HUAWEI PRODUCT. You’ll never run out of power for your phone. Batree - Wholesale Battery and Power Banks Supplier in UK. What You Get. - We are encouraging you to use professional technician for the repair. Compatible With: Huawei Mate9 & Mate9 Pro & Mate 9 Porsche And All The Type-C USB Huawei Devices. Color：White. Huawei P30 Pro. Huawei P30. Huawei P20 Pro. Huawei P30 Lite. Huawei P20. Original Huawei Fast Charging USB Type-C Cable 5A White - 1M. 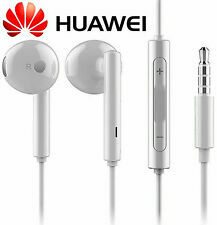 Official Huawei products. Huawei Mate 20 Pro. This plug is 2A 5V/9V variable. This will provide you with a proof of receipt. Experience faster charging speeds than ever before with Huawei's Super Charging. No more hanging about, just super quick charging. You’ll never run out of power for your phone. Take the brilliance of these genuine Huawei accessories along for a ride! Charging your mobile or smartphone has never been easier. With so many charging methods available there is no excuse for a flat battery. Huawei chargers and docks for mobile phones and PDAs include a diverse range of charging apparatus in a whole host of different styles. Available to fit many different Huawei models, you may never run out of power again. Small and lightweight, Huawei chargers are ideal to take to work, away on business or great for use as a spare charger in the car. They have an input of 100 - 240V - 50/60Hz, 0.5A and an output of 5V - 2A. 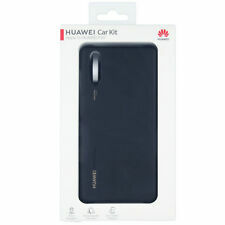 They come with a USB cable so you can charge your Huawei smartphone directly from your PC or laptop. This cable is also used to sync your phone to your computer and transfer data between the two. Some of the chargers come with a UK three pin mains connector, while others have a European two pin design, perfect for trips abroad to the continent. They include short circuit protection to avoid overcharging or overheating your phone. If you have a Huawei Smartwatch then you can find a charger to keep your favourite toy powered up and connected all day. They have a portable compact design so they are easy to carry with you. Each charger comes with a power protection function so it will stop charging when full charged in order to protect your watch. There are also mobile phone charging docks available. All you need to do is place your phone onto the charging dock and starting powering up. These stations allow you to prop up your phone and access the screen whilst it is charging and many can be a useful desk accessory. 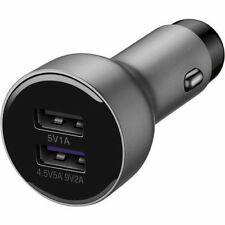 To keep your phone fully charged when you're in your car, use a car charging adapter. Designed to be easily inserted into your car cigarette lighter, they come with a 1m USB cable for instant charging.